This targeted massage focuses on manipulating specific muscles used for a sporting event or in need of injury rehabilitation. Benefits of sports massage include presenting injury, restoring mobility to injured muscle tissue, boosting performance and maintaining the body’s condition to extend the life of an active career or lifestyle. For athletes, sports massage focuses on enhancing endurance to minimise the chance of injury and reduce recovery time. Sports massage uses a variety of specialist preparation and healing techniques combining Swedish massage, trigger point therapy and hydrotherapy. These techniques include kneading and manipulating the muscles and joints, whilst gently stretching and mobilising joints and ligaments. Sports massage can be used to prepare for a sporting event and can be incorporated with stretching to help warm, loosen and prepare muscles to enable endurance and performance to reach their full potential. Sports massage can also be used following an event or injury to relieve pain, reduce stiffness and help muscles get back to their usual state quicker. 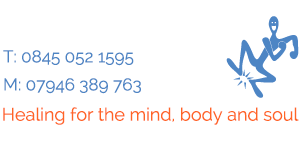 Professional integrating massage Therapist Sue Carberry helps to circulate blood and lymphatic fluids in combination with stretching out the muscle tissue and breaking down any scar tissue. This will increase mobility, extendibility and facilitate the range of movement, eliminating soft tissue inflammation, promote tissue repair and improve stability, endurance and function to the muscles, joints and ligaments. Sports massage offers both physical and psychological effects such as reducing pain and relaxing muscle tension as well as reducing anxiety levels. Watch the following video of Sue Carberry explaining more about Sports Massage.